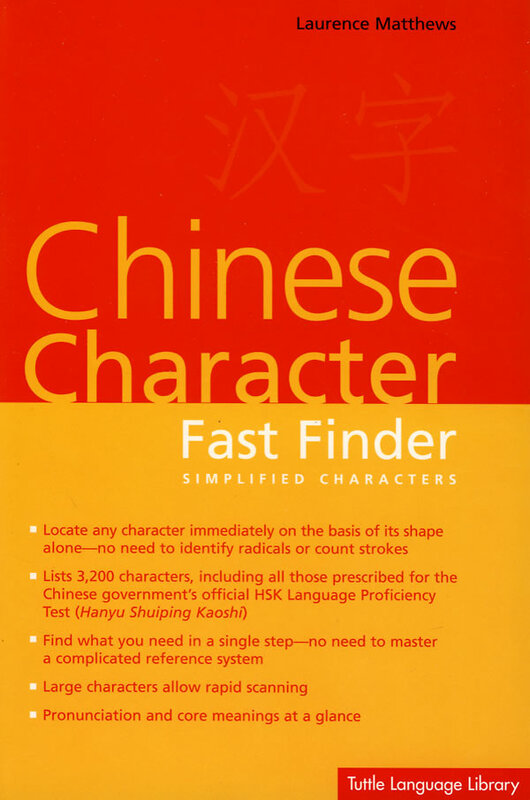 书籍简介: Chinese Character Fast Finder allows users to find Chinese characters based on their appearance alone, without knowing their pronunciation, radical or stroke count. This reference book has been designed for serious learners of Chinese as well as readers with an interest in written Chinese. Convenient features include printed thumb-index marks for rapid access to any character; all the characters prescribed for the Chinese government's official HSK (Hanyu Shuiping Koshi) Language Proficiency Test, and simplified characters and their pinyin pronunciation.